Exciting news!!! As of today I have a new online home. Yep, I will no longer be blogging here and while it's a little sad to be leaving after five years I've been feeling the need for change. 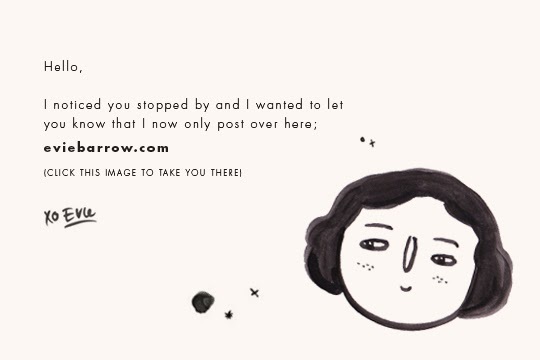 Along with this domain shift I'll now be blogging and creating work under my own name — Evie Barrow. Why? It's simply more, me. And the fresh start leading in to 2014 couldn't feel more right. So what's good about my new place? It's both a blog and a gallery under the one roof. I've created a gallery section so you can easily browse the things that I make. I also have an About page, with embarrassing photos. You know you want to come and see! 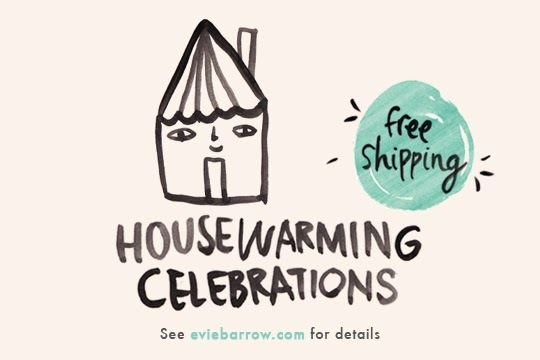 As a little housewarming celebration there's free shipping on everything in my online store from now until December 18th. See my new site for details. 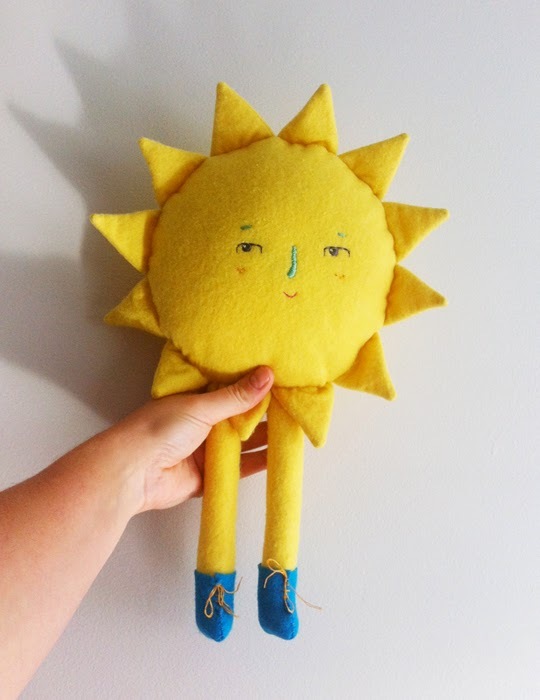 I made this wonky sunshine for this years Softies For Mirabel drive. I've already shared him on my Facebook page and Instagram feed so I've included extra behind the scenes shots here just for you. 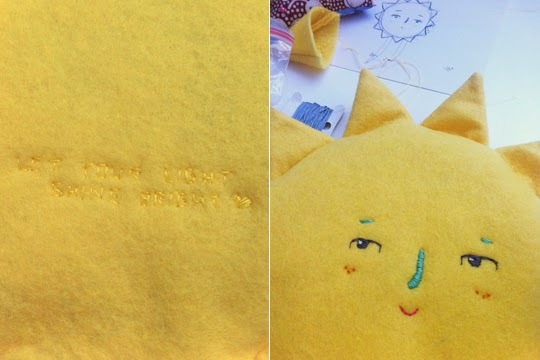 The secret embroidered text on his reverse reads, Let your light shine bright. I thought I'd share him here as a reminder to get your softie in on time if you're making one, the deadline is this coming weekend. All of the details are over on Pip's blog here. If you're familiar with Pip from Meet Me at Mike's you probably already know about Softies For Mirabel. For those that don't know, Softies For Mirabel is an annual handmade toy drive that Pip helps co-ordinate for the Mirabel Foundation. All of the toys made head off in time for Christmas to live with kids affected by parental substance abuse. This year the toys will be on display in the CAE InfoShop, 44 Degraves Street Melbourne. There's also a meet up planned for the makers on December 7th between 2pm to 4pm which you can read about here. If you're on Instagram search #softiesformirabel if you'd like to take a look at all the amazing softies everyone has been making. 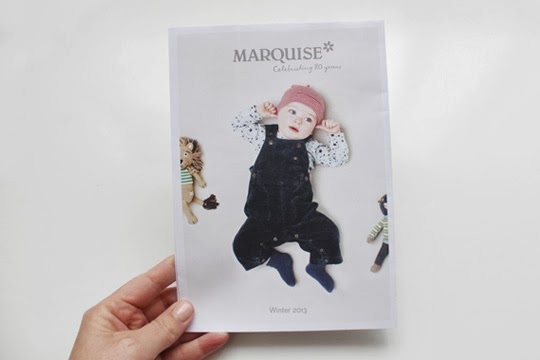 A little while ago I was lucky enough to have my work appear in the beautiful Marquise Winter 2013 catalogue (designed by the talented lot over at Ortolan). 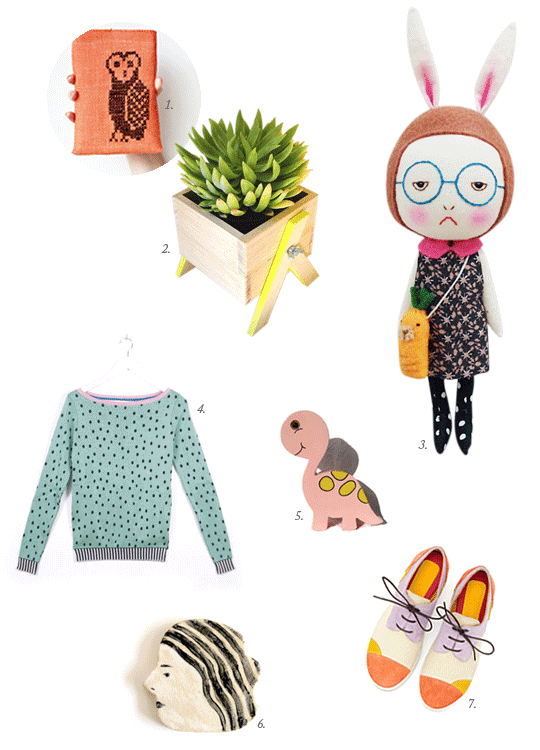 Last week I also received the loveliest mention on the Marquise blog. You can check it out here if you want to. 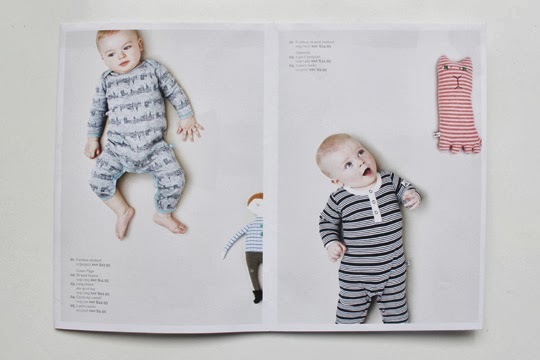 Marquise is a premium Australian baby wear label who last year celebrated their 80th year! 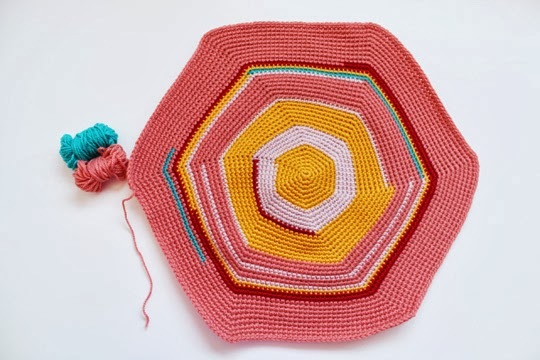 What do you make with your leftover yarn? Do you have a particular project you like to use it for? Do tell, I'd love to know. 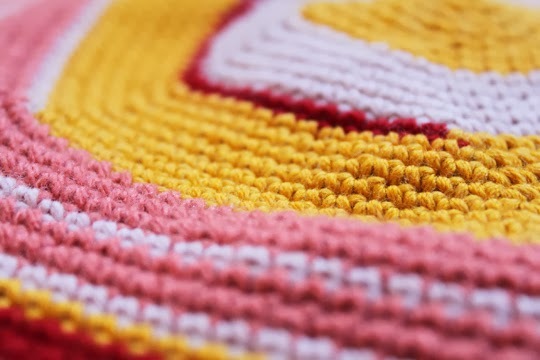 About a year ago I made this crochet circle which admittedly I only recently finished. When I started I wasn't sure where I was going with it I just knew I wanted to use up some odd bits of yarn and practice crocheting. In the end I stitched knit fabric from a similarly coloured vintage sweater to the reverse and make a really fun cushion. With odd leftover yarn still remaining in my stash I began thinking what should I make next? After some digging I've uncovered the following five resources to get you (and me) inspired for future leftover yarn projects. Do you collect stamps? I don't. I think one of my cousins might, at least he did when we were kids. 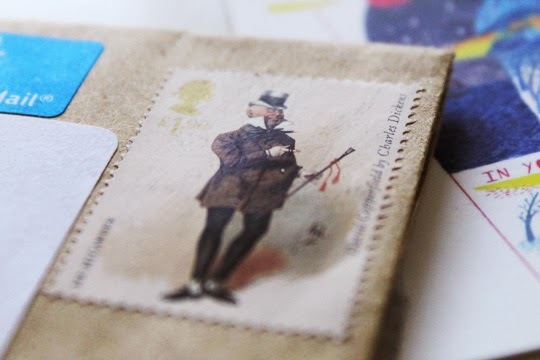 One of the many things I love about purchasing from very small businesses is that they use stamps, unlike bills or big companies who use delivery services or have their mail prepaid. Mail from a small business is far more interesting - in more ways than one! The above stamp arrived many months ago on a purchase from the UK. Even though I said I don't collect stamps I've kept this one. I love the illustration so much that I just couldn't part with it, at least not yet. Upon further investigation (Google!) I found a great post on The British Postal Museum and Archive that goes in to detail about this particular stamp, the collection it's from and other Dickens stamps throughout British history. The illustration is by Joseph Clayton Clarke who was know for illustrating the characters from Dickens's novels in the late 1800's. 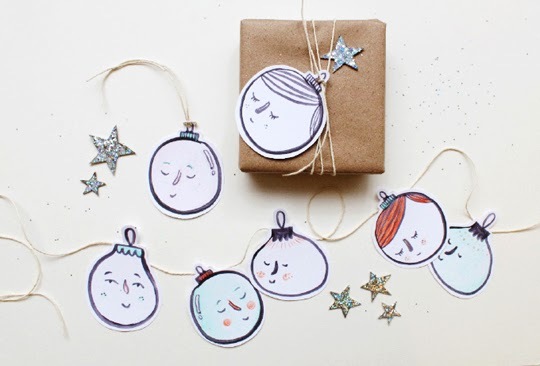 Today I've gathered up some of my favourite Etsy finds over the past little while to share with you. Enjoy! Hello! My name is Evie. I'm a drawer and maker living in Melbourne, Australia. I love illustration, character creation and the magic that happens when creating by hand. 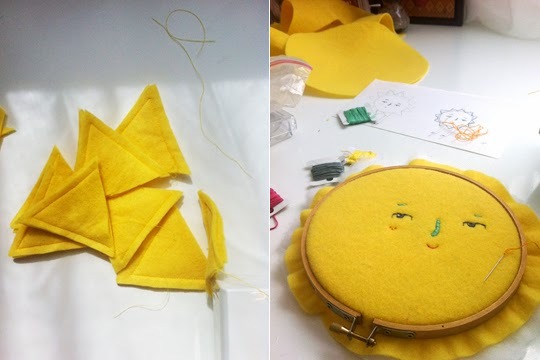 Here I'll share with you my creative finds, moments from life and hand made creations of my own. By sharing I hope to inspire and spark imaginations like yours. Thanks for stopping by.